Photographers now have two choices when it comes to working with Lightroom to manage, edit and share their images – Lightroom CC or Lightroom CC Classic. Adobe are describing the difference as either ‘Cloud Centric’ or ‘Desktop Centric’. If you are currently a Lightroom CC user your desktop application or ‘App’ will now be called Lightroom CC Classic. For most professional and keen amateur photographers this will continue to be your application of choice. The new Lightoom CC Cloud Centric app has not been designed to supersede or replace your existing workflow. 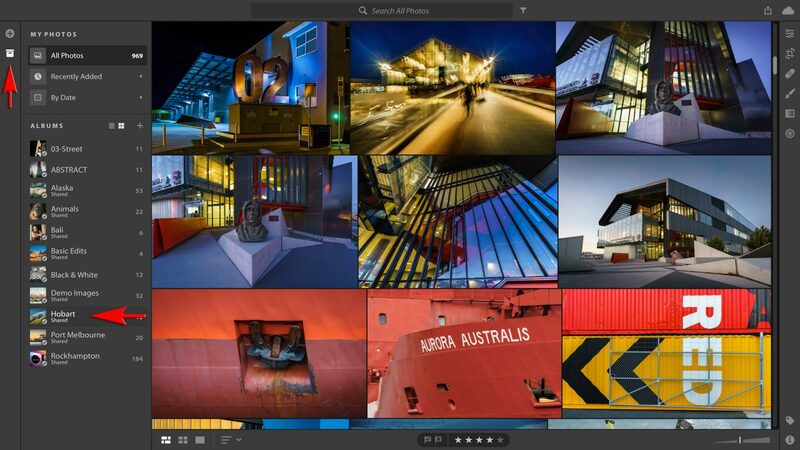 The new Lightroom simply offers an alternative and streamlined workflow for users who want to store their master files in the Cloud. The new version of Lightroom did not just spring out of thin air (or fall from Adobe’s Cloud in the sky). Adobe announced they were engaged in developmental work on a Cloud-Based Imaging App during the 2016 Adobe Max conference in Las Vegas. They called it ‘Project Nimbus’. Adobe then accidentally made the App available to some of its Creative Cloud users back in July 2017 – this meant that Adobe was still working on the project nearly a year later. This brings us today and Nimbus is now officially Lightroom CC and the program we have been calling Lightroom CC will now be known as Lightroom CC Classic. The idea behind the new Lightroom CC is that it is much more tightly integrated into working with Adobe’s Creative Cloud when compared to Lightroom CC Classic. The Import Workflow in the new Lightroom CC has but a single option – choose to import to an existing Album or not. Lightroom CC Sensei Search: Describe your image and Lightroom finds it. Why do we need a new Lightroom? The new Lightroom CC now is designed to work with Lightroom Mobile and will offer a seamless transition when users switch between Mobile and Desktop. It will offer many users an easier way to find an image they are looking for, even if the image does not have keywords and the user cannot remember when they captured the image. Adobe’s Artificial Intelligence (called ‘Sensei’) is integrated into the new App and can recognize most subjects and descriptive words, such as colours or tones and will quickly find any image in your Library (so long as you describe it). The only thing that appears missing from the search feature, for the moment, is face recognition. The new Lightroom also offers 1-Terabyte worth of Cloud storage for every image the user imports into Lightroom CC. Users will not have to worry about where their images are stored or if the images are securely backed up onto a second drive (in case of hardware failure). For many users this will be reason enough to choose Lightroom CC over Lightroom CC Classic. 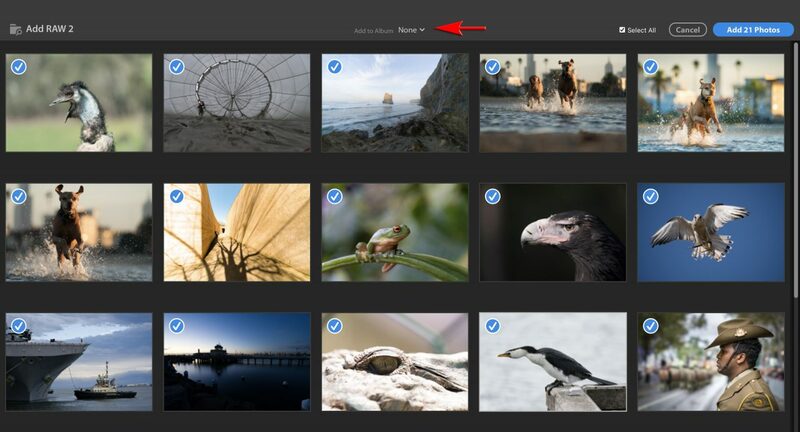 For some users who have found it difficult to effectively manage a Lightroom Catalog, and are regularly frustrated when they see that their images or folders of images are missing, the new software will be a streamlined, simpler and welcome change. Editing an image (formerly now as Develop) is still non-destructive and has most (but not all) of the editing features of Lightroom CC Classic. What are the advantages to using Lightroom CC? Lightroom CC will be a lot easier for newcomers to Lightroom to manage and edit their images. Adobe has essentially done away with the modules. 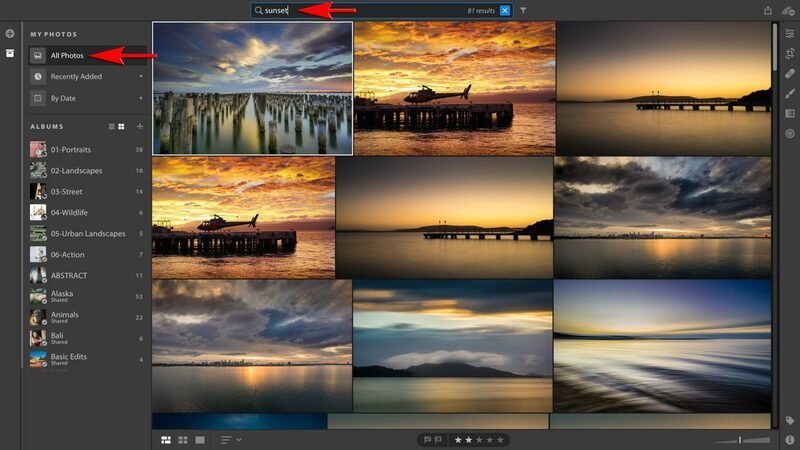 We simply see the images in a Grid or Edit view (no separate Library and Develop modules when we see the full-sized preview image). Image editing is still non-destructive (quick and easy but with slightly less advanced options) and any changes are quickly reflected in your Lightroom Mobile Apps (no need to sync collections of images from the desktop App). Why wouldn’t I use Lightoom CC? The new Lightroom CC imports all of your images and stores them locally and at full-resolution in Adobe’s Creative Cloud. If you capture images in the Raw quality setting and shoot lots of images you are looking at significant uploads of data. I do NOT recommend the new Lightroom CC if you do not have a fast Broadband Internet connection and a generous data allowance from your Internet Service Provider. Lightroom CC does not include the Book, Slideshow, Web or Print modules that are included with Lightroom CC Classic. Are there any other Limitations to using Lightroom CC? 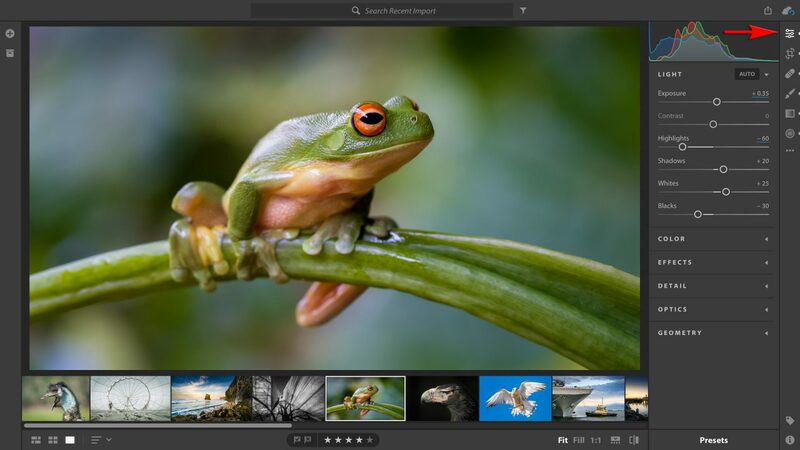 The new Lightroom CC is an attractive proposition for casual photographers who have fast Internet and want a simpler workflow with a Terabyte of online storage. For photographers currently enjoying the Lightroom Mobile apps the learning curve is super shallow. It’s a complete ‘no-brainer’. Photographers who want maximum control and flexibility over the image assets and enjoy advanced editing workflows will continue to use Adobe Lightroom CC Classic. Mark is a Global Imaging Ambassador for Sony, an experienced educator and an Imaging Ambassador for Adobe. As well as public speaking he offers training in the form of creative workshops and one-on-one training. This entry was posted in Adobe, Announcements, Lightroom, Post-Production and tagged adobe, classic, edit, image, Imaging, lightroom, Lightroom CC, photoshop, post, Production, sensei, Workflow.